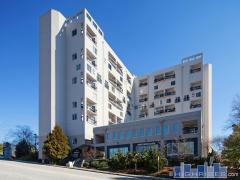 1010 Midtown is an amazing 36-story high-rise condo in Midtown Atlanta. Each home at 1010 Midtown features premium finishes and picturesque views. Walk to shops, restaurants and MARTA. 1010 Midtown amenities include a clubroom, concierge, fitness center and pool. Curving out over Midtown's most desirable corner, 1010 is THE address for posh living. Acclaimed restaurants are just beyond the lobby doors in any direction. Have any comments or questions about 1010 Midtown? Ask your question and/or share your thoughts about this Building. These apartments seem so nice! I think that would be so fun to live in an apartment in midtown Atlanta. There is something about Georgia that seems magical and it's so southern. I love southern charm and the culture down there.